A blackmail case leads private eye Peter Bragg across the Golden Gate to Sausalito, a waterfront playground for the rich and where real estate developers are fighting a brutal war to claim every precious inch of bay view land, soaking the dirt with the blood. Bragg is the only one who can stand up against the campaign of torture, arson, and murder…and reveal who is behind all of the bloodshed…if they don’t kill him first. The first three, powerhouse novels in Jack Lynch’s Edgar Award-nominated and two-time Shamus Award-nominated Bragg series of PI thrillers...now together for the first time ever in one volume. In the Shamus Award-nominated third thriller in Jack Lynch’s series, San Francisco PI Peter Bragg returns to track down a fortune’s worth of gem-encrusted chess pieces smuggled out of China…unless a ruthless killer finds him first. Follow private eye Peter Bragg across the Golden Gate Bridge to Sausalito for a shocking blackmail case that’s about to turn bloody and brutal in Jack Lynch’s fourth explosive novel in the Edgar award-nominated Bragg series. The Shamus Award-nominated fifth novel in Jack Lynch’s Bragg series pits the tough PI against cops, neo-Nazis and powerful enemies in a powder-keg case that may just explode into a full-scale massacre. 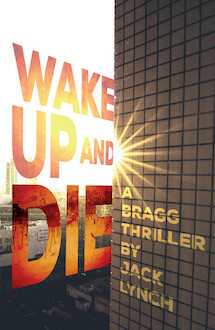 Bragg goes back to Seattle to protect an old friend from killers...but soon has to face his own, troubled past and things quickly become explosive, a blast from the past that could put him in a grave. The first book in Jack Lynch’s multiple Shamus and Edgar award-nominated series. Meet Peter Bragg, an ex-reporter turned San Francisco PI, who he takes his cases too personally and solves them at any cost. A psychic Peter Bragg once saved from suicide has seen her future… death at the hands of a serial killer… and turns to Bragg to save her life again.